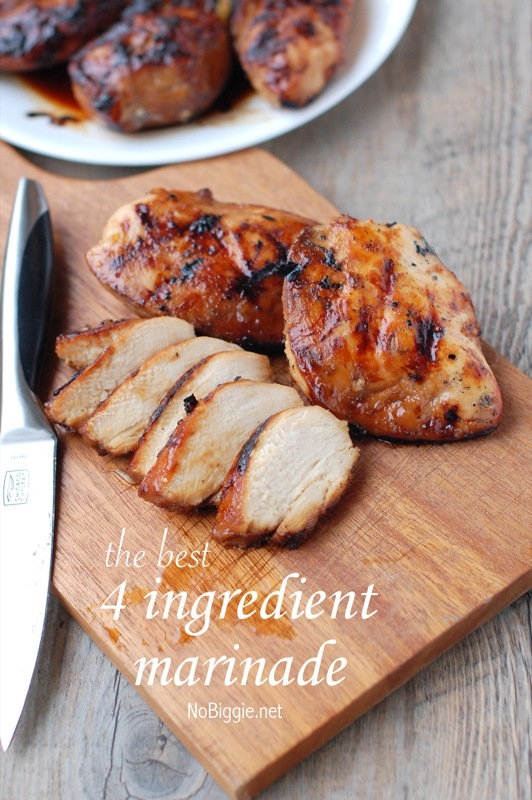 Just 4 ingredients is all you need for the best chicken marinade! Over the weekend we fired up the grill. My husband makes the best grilled chicken, he has it down to a science. A few extra minutes can either make it or break it. 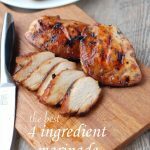 This marinade plus the grilling method makes the best grilled chicken! 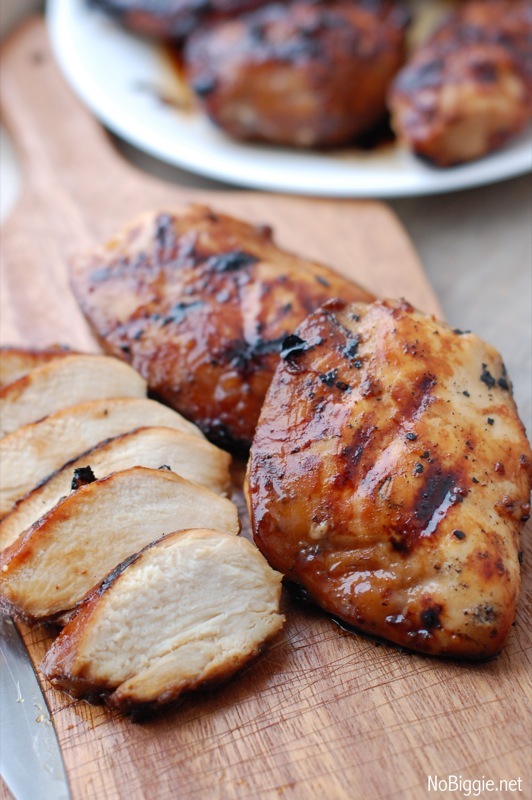 Our friends shared this quick marinade with us last Summer, and I have to say…we love it! It’s now my go to marinade when it comes to chicken. 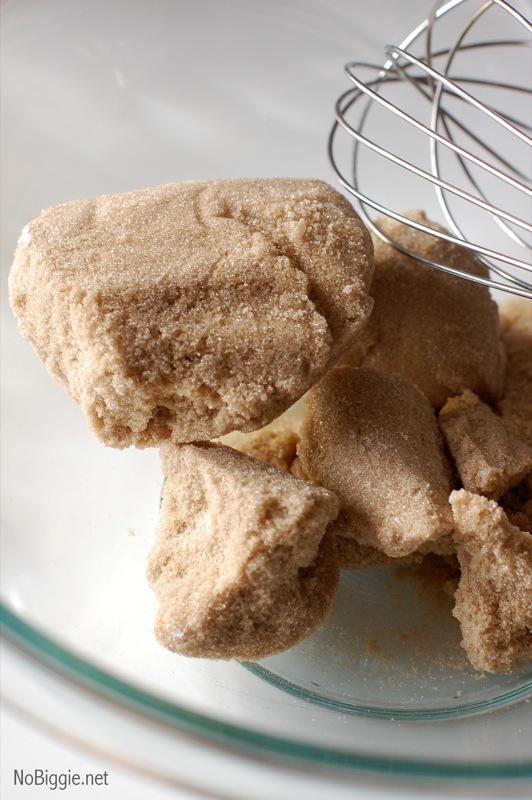 It’s the perfect solution for when your brown sugar gets too hard for baking, because it dissolves right into the liquid of the marinade. Technically speaking…I did not measure the brown sugar exact here, but that’s the beauty of cooking vs. baking, right?! Let it marinate for at least 30 minutes or best for 4 hours. 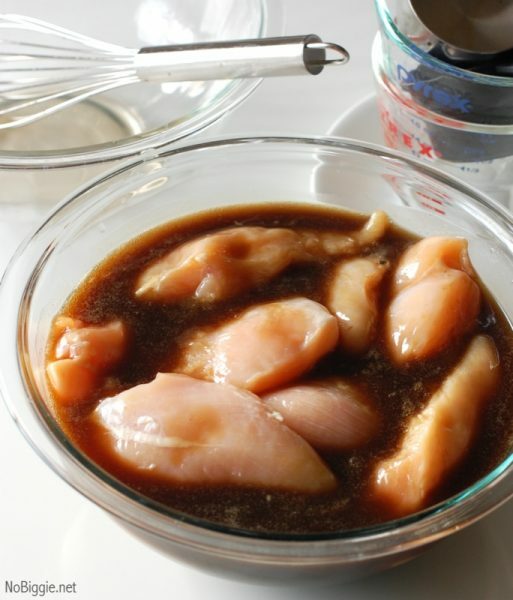 You can marinate chicken overnight (covered in the fridge), but with the soy sauce in this marinade, it can sometimes discolor the uncooked chicken if you marinate for too long. -Fire up the grill…preheat to medium high. -Place the chicken breasts on the grill and do not touch them for 6 minutes. -Right at 6 minutes, you flip them over and then don’t touch them for another 4 to 5 minutes. -Then move it over to a plate and let it rest a bit (not long) and then serve. That’s it! I hope these tips help you get perfectly grilled chicken every time! Mix all ingredients together in a bowl or a ziplock bag. Place the boneless skinless chicken breasts in the marinade. Marinate chicken for at least 30 minutes or at the most overnight. It’s the best grilled chicken! You’ve gotta try it! You will love our favorite Steak Marinade too! Happy Grilling!